Have you been thinking about doing meal prep but don’t know where to start? 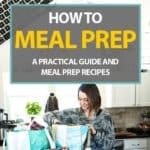 We have you covered with this guide on how to meal prep! Meal prep doesn’t have to be a daunting task – with our tips, tricks and helpful tools, you’ll be meal prepping like a boss in no time. Time savings – Planning and prepping saves you time when you need it. Less stress around meal time – Avoid that “what are we having for dinner tonight” moment. Easier to eat healthy – Pick and prep healthy meals so you don’t have to make decisions when you’re hungry. Save money – With a plan you’ll have less food waste and are less likely to eat out. Kitchen confidence – You’ll learn new ways to prep and store food, try new recipes and amaze everyone with your culinary prowess! Are you ready to get to planning and prepping some healthy meals? Ok, let’s go! Plan only – This is the foundation of all meal prep. Simply having plan in place is the first step to successful meal prep. Plan + shop – This is the most basic form of meal prep. Create a plan for the week, make a grocery list and do the shopping. The stage is set for a successful week. Plan + shop + chop – In addition to planning and shopping, you also prep some of the individual ingredients you’ll need to make your recipes. Think chopping veggies, making a sauce, etc. Plan + shop + chop + batch – In addition to planning and shopping, you also batch cook some ingredients that will be used in recipes for the week. Think making a slow-cooker or instant pot roast, roasting veggies, making a salad or side, etc. 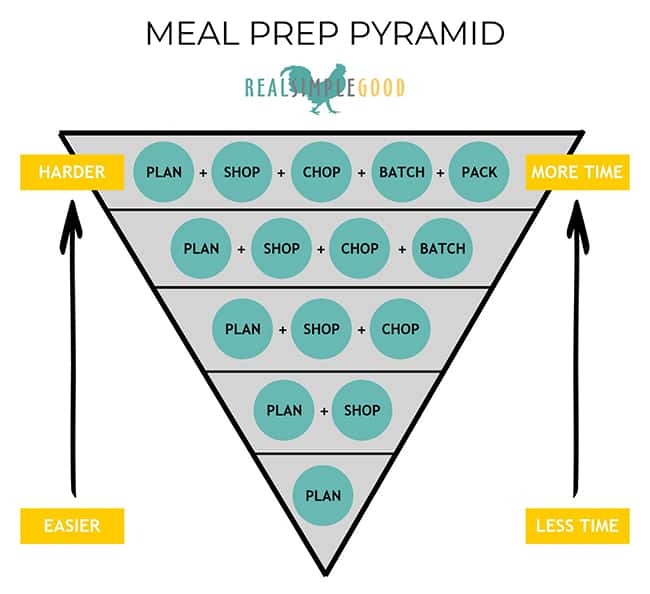 Plan + shop + chop + batch + pack – This is the cadillac of meal prep. 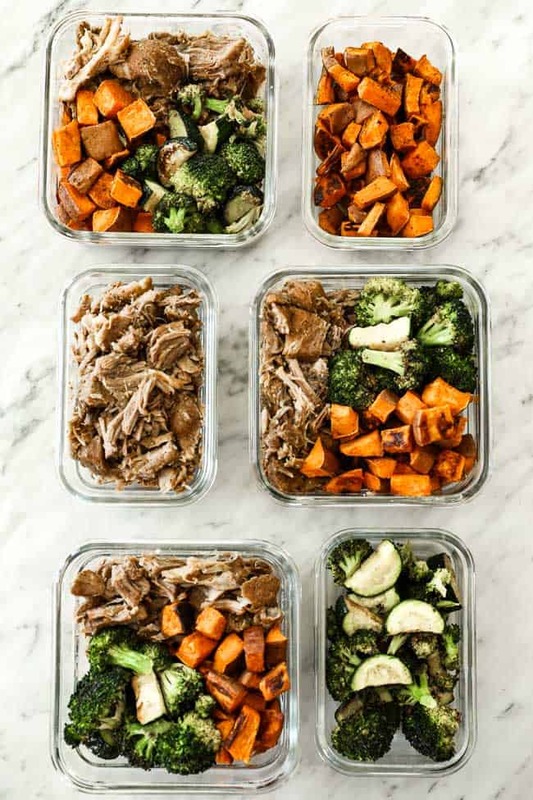 In addition to planning and shopping, you also make one or more entire meals and place them in individual containers for easy access during the week. When deciding on how far to go in meal prep and deciding on the level of meal prep that works for you, we suggest you start small and get the basics down. Don’t get too overwhelmed with it all and just get going. Start with step two – creating your plan. You can’t meal prep without a plan. 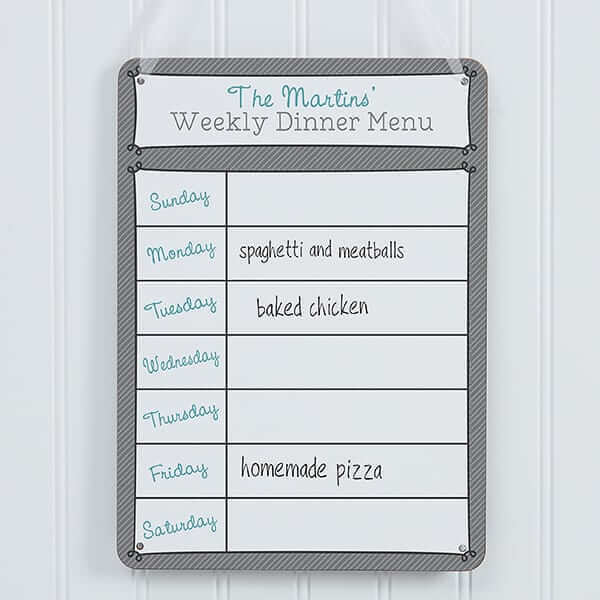 Planning what you want to eat for the week can seem like a huge burden, but the key is to block out some time each week to create a meal plan. Simply setting aside a half hour to an hour each week to plan meals and make a grocery list can give you that time back (and more) later in the week. Planning is even easier if you learn to utilize a planning tool. Use a visual system, like a whiteboard, chalkboard or sticky notes. Use an electronic planner. 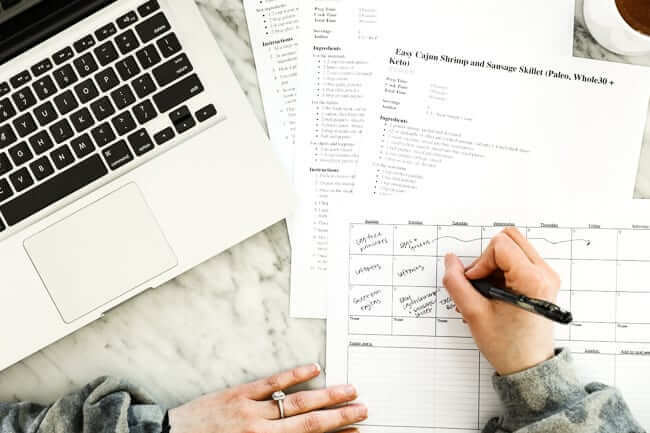 This can range from something very basic, like jotting down meal ideas on your phone notes to something more advanced like using an app or online planner. Since we manually write down our plan, we don’t have a ton of recommendations here, but you can easily google and find some options that might work for you. Or, below is a link to some paid and free options. FYI – we have used the software Plan to Eat in the past and really liked it. Planning tips to make your meal prep (and week of cooking) easier. Plan versatile recipes that can be utilized as leftovers to make completely different meals. For example, pulled pork can be made into tacos, salad bowls, stuffed sweet potatoes, scrambled with eggs for breakfast, etc. Plan side dishes that can be served with multiple meals. For example, you can make a big batch of roasted veggies and serve them with anything. Things like cauliflower rice, salads and coleslaw are also easy to prep and pair well with a lot of different dishes. If you plan to prep several recipes at once, try and plan recipes that can be cooked at the same time. For example, you can plan and prep 3 recipes at once utilizing different cooking methods (oven, slow cooker/instant pot and stovetop). Plan healthy snacks and treats. You inevitably snack right? You want something sweet after dinner don’t you? Plan for (and hopefully prep for) this and you’ll have simple snacks and treats on hand to eat when the craving strikes. 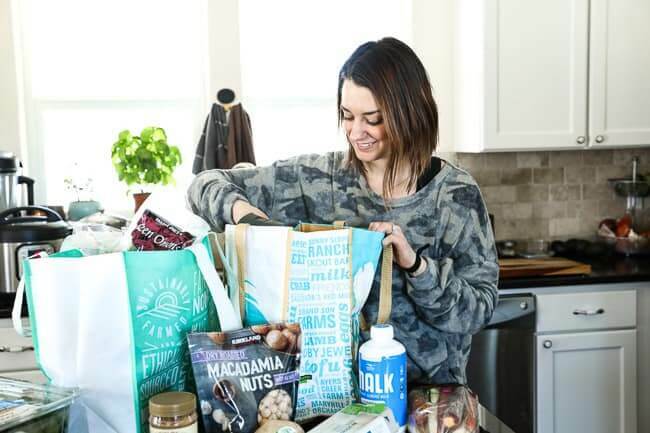 As we noted above under step one, there are several levels you can choose from here depending on how much time and effort you have to meal prep. Below we’ll provide some helpful tips for each level. One of our easiest tips for shopping efficiently is to organize your grocery list by store and by sections within the store. Do you always buy certain items at Costco? Your shopping list should have a Costco section. What about online through places like Amazon or Thrive Market? Add a section for this as well. Also, it helps to group your shopping list into sections based on where you’ll find things in the store. For example, list all of the vegetables out in a section, all of the meat in a section, etc. This helps to keep you organized and efficient while in the store, cutting down your overall shopping time. Speaking of online shopping, a final tip is to utilize a meat delivery service. Services like Moink, Butcher Box, Fish Fixe or Sizzlefish can help you to stock up on quality meats and save you a trip to the store! Chopping ingredients for use in recipes later in the week. Bonus if multiple recipes are using the same ingredient – chop once and cook twice (or more). Spiralizing veggies or shredding/processing items in the food processor. These gadgets are a pain to clean, why not do it only once? Making seasonings or sauces for recipes. 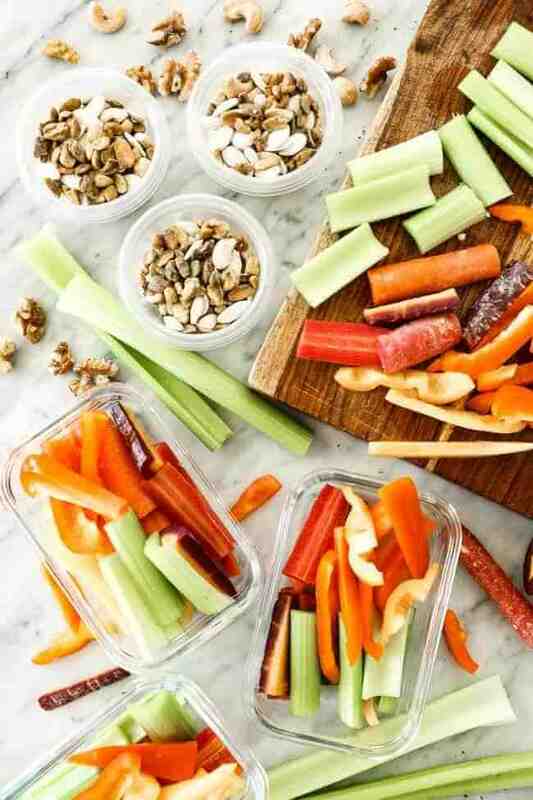 Portion out items like snacks (chopped fruit and veggies, nuts, etc.) in bags or containers so you have them handy when cravings strike. Organize the order you cook in, starting with the recipe that has the longest cook time first. That way you can get one recipe going and start on another while it is cooking. Prioritize meals that are versatile, make large servings and can be mixed and matched together. Think slow cooker soups and roasts, a large batch of roasted veggies, hard boiled eggs, roasted chicken thighs/breasts, taco meat, etc. Use seasonings to create different flavors with the same ingredients. 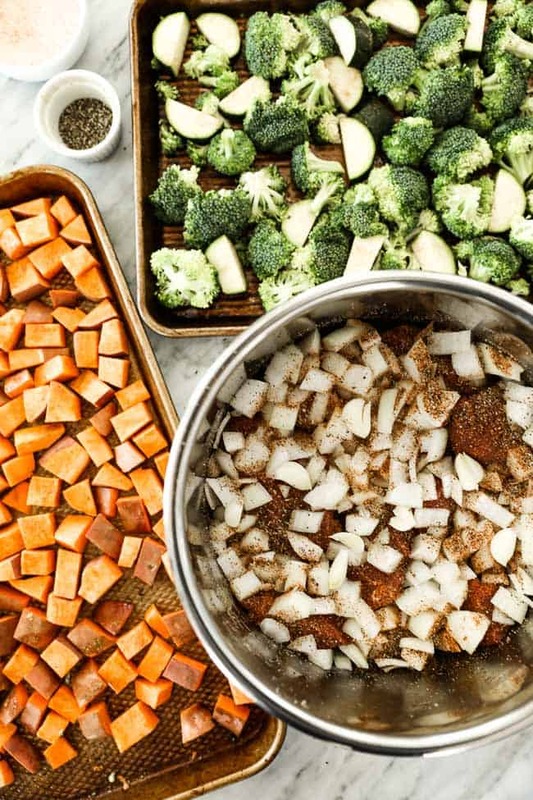 For example, if you are roasting vegetables, season half with lemon pepper and the other half with cajun seasoning to create a completely different flavor profile and keep meals interesting and different. Use all of your tools. You can batch cook multiple recipes at once using your slow cooker/instant pot, oven and stove top. Start by picking just one meal to batch prep and pack for the week. Typically breakfast or lunch works best as these are grab and go type meals. Think of recipes you can eat nearly every day with minimal modifications to keep them interesting (try different dressings, sauces, toppings etc. to mix things up). Choose recipes that hold up well for several days, reheat well or can be served cold. Soups, meats and salads fit well into this category. Choose recipes that are easily portioned out. Egg muffins, casseroles, soups, etc. Stock up on storage containers. We like Glasslock containers because they are leak proof, oven-safe and microwavable. Ok, that’s all for our how to meal prep guide. 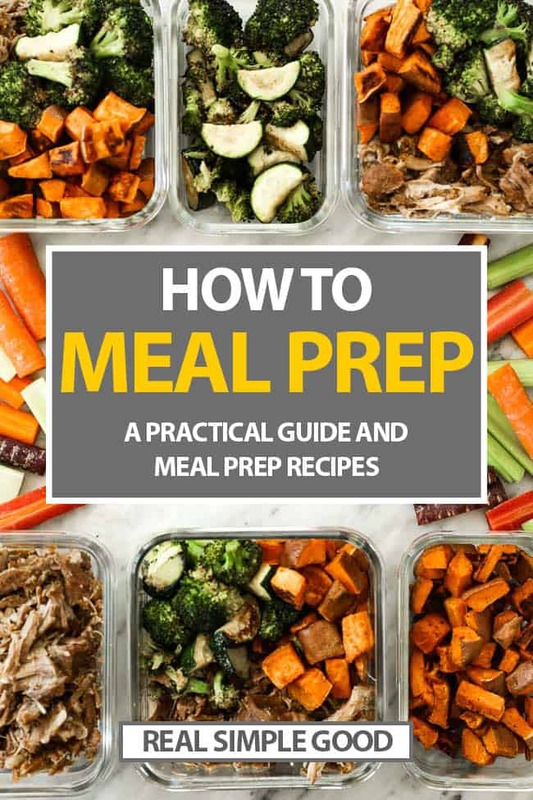 Now that you’ve read all of our tips and tricks, don’t forget to download the resources we put together to make your future meal prep easier!